With more than 30 years trading, we have sucessfully completed many projects nationwide. We are a family run company and are ideally positioned to offer you a friendly, efficient and cost effective solution to meet all your signage requirements. 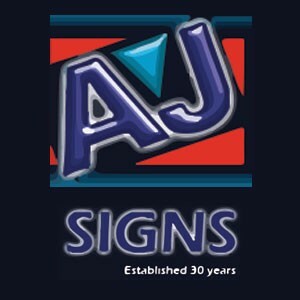 From site survey, design, manufacture and national installation, AJ SIGNS provide a TOTAL SIGN SOLUTION TOTAL QUALITY. Every customers requirements are unique.